Traveling with a large group — whether a family with three or more kids, a multi-generational gathering or special celebration involving more than one set of parents and children — can be daunting to satisfy each individual in the group, depending on their age and interest. Fortunately there are many fantastic options, in the US and Caribbeans to ensure large families find spot-on accommodation and a wide range of activities to keep everyone happy. Take the hassle of sorting out passports for a large group traveling together by heading off to the US Virgin Islands where no passport is required for American citizens. Once there relax at the family-friendly Bolongo Bay Beach Resort featuring 62 beachfront rooms, two oceanfront restaurants and a great beach bar. Activities include complimentary non-motorized water sports, scuba diving, and catamaran sails. This makes it a great destination for family reunions and multi-generational vacations. Save even more with the resort’s Family Event Package, which enables groups of up to 20 guests to stay at this laid-back Caribbean resort from $5,750. Renting a whole villa offering luxurious accommodation and services such as a housekeeper, gardener, and laundress, plus the option of a private chef should appeal to large families looking for a stylish home from home. Dating back to the 18th century, the exquisite Bellevue Plantation House has six guest rooms and a two-bedroom cottage as well as a spacious family room featuring wi-fi, a study, two dining rooms, patios and verandahs, and is only 10 minutes’ away from the beach and Holetown’s dining and shopping opportunities. This historic villa in the Caribbean has just launched an elementary weekly rate of $1,300 per night for up to 16 guests (in eight rooms) and $850 for eight guests (four rooms). 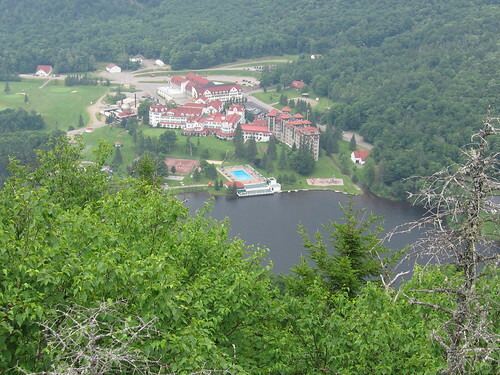 Located in New Hampshire by the White Mountain National Forest, Waterville Valley Resort is a great option for families that want to go on rewarding hikes during their vacations. A deluxe one-bedroom suite-type room at this resort sleeps six people and features a fully equipped kitchen. Kids will enjoy discovering the varied fauna and flora they’ll encounter in their path. Other activities suitable for every generation in the group include tennis, ice skating and swimming in outdoor and indoor pools. Plus there is a children’s theater, bingo nights and cooking and crafts workshops to make sure everyone is kept entertained. All-inclusive resorts prevent large families from a bad surprise when the cheque comes! With food and beverage included in the rate, spacious and comfortable accommodation, Club Med resorts are a popular option, especially with attractive locations in Florida and the Caribbean. Guests can enjoy a large array of land and water sports, activities and nightly entertainment. Kids are well looked after at the Children’s Clubs for kids 4 months and up. Large families looking for a serene vacation in a chic surroundings enjoy Cape Cod’s elegant North Falmouth. Offering lovely oceanfront scenery and well appointed accommodation the Sea Crest Beach Hotel is a great destination for families enjoying barefoot luxury. And with their three-bedroom Cape Cod Cottage that sleeps up to eight guests and comprises three bathrooms (no queues in the morning! ), kitchen, and private backyard, families can stretch out without hassle. Facilities include indoor and outdoor pools, a gourmet restaurant, and complimentary wi-fi.